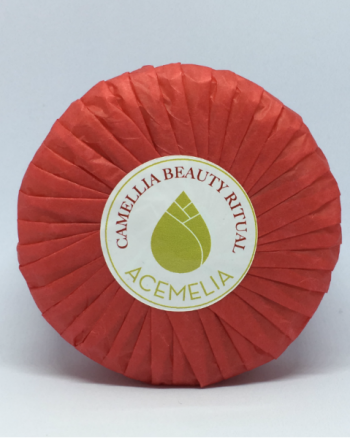 Camellia oil has marvellous properties because it contains a high concentration of fatty acids like arachidonic acid (fatty acid omega-6 which is part of the cell membranes), myristic acid (part of the lipid bilayer of cell membranes), phytoescualen (improvement of hydration and rejuvenation of the skin), oleic acid (Rejuvenates the skin cell growth and increases its strength and flexibility) and also contains a high content of vitamin E (antioxidant that helps protect the skin of the external damage and aging). Therefore, it prevents the formation of wrinkles and helps keep skin firm and elastic. What properties of camellia oil would you like want to know? Rich in essential fatty oils (includes up to 85% of oleic acid): its composition in acids oleic is the highest among all the natural oils. Studies of oleic fatty acids and others have shown that they are an excellent emollient, and an essential agent for the retention and improvement of the skin’s moisture. The lack of lipid or fatty substances affect the skin’s ability to retain moisture, resulting in that with the passing of the years the skin dries and appears signs of aging. Very moisturizing for all types of skin (moisturizing body oil, facial or for the care of hands). Quick penetration and very moisturizing (lubricant). As a light oil, is very useful for the skin of the face, since it helps to eliminate acne marks or stains. Camellia oil prevents wrinkles and, if you already have them help, to smooth the area. You can use the outline or the lines of expression (anti-wrinkle oil). 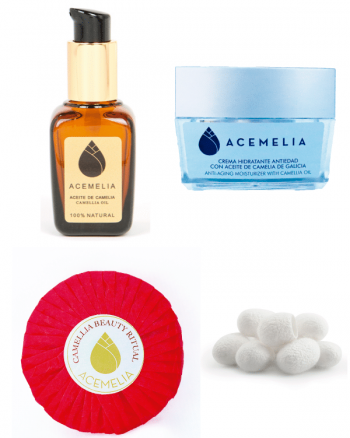 Camellia oil helps to keep the skin firm and elastic (body oil). Thanks to its rapid and deep absorption, it is said that Camellia oil renews the skin, making look more luminous and soft at the same time. Camellia oil helps to minimize the pores that are around the nose. As it contains a high content of vitamin E (antioxidant) help protect the skin from external damage and aging. Sunscreen, i.e., Camellia oil protects the skin from sunlight (UV). Valid for all types of skin, including skin prone to irritation. It has not trans fat because it is a natural product, which is good because it is a type of fat that causes diseases of heart, cancer, diabetes, obesity and liver failure. It contains arachidonic acid which is a polyunsaturated essential fatty acid of the omega-6 series present in the Camellia oil. This is present in the membranes of cells which aid in communication between cells and is very abundant in the brain, which makes it one of the essential fatty acids required by most mammals. It contains myristic acid, fatty acid that forms part of the phospholipids and glycolipids, molecules that make up the lipid bilayer of cell membranes. It contains fitoescualene. Squalene is a component of the human skin sebum and decreases along the years which causes wrinkles and dry skin. The fitoescualeno helps to combat the loss of squalene which produces an improvement of hydration and rejuvenation of the skin (anti wrinkle facial oil). Camellia oil protects the skin from harmful UV rays and environmental damage, thanks to thin film form over the skin. It also protects freckles, age marks and brands of pigmentation. You can use around the eyes to prevent Crow’s feet and expression marks and Striae (stretch mark oil). Specialized researchers (JUNG et al., 2007) have claimed that Camellia oil prevents the formation of wrinkles because it induces the synthesis of collagen type 1 (a protein that is found in the skin) and reduces transepidermal water loss (the hydration of the skin helps it maintain its elasticity and its barrier function). Camellia oil moisturizes the scalp. Thanks to its rapid and deep absorption, it has the property to penetrate and hydrate the hair. Help to nourish and strengthen hair, making it stronger and less brittle. Camellia oil is sunscreen, so it helps the hair to block UV rays damage. In this case you can use it as a daily serum. Restores dry and lifeless hair making it nourished, moisturized and sheen. It renews the capillary fibers damaged, due to its power of deep absorption. In a publication of the Center for research for Biosecurity in food, drugs and pesticides of Japan it is affirmed that Camellia oil inhibited metastasis of Melanoma (skin cancer) and has been advised its consumption to the patients. Another study of National Chung Hsing University recommends it for its antioxidant properties. Traditionally, it is known that Camellia oil or tea seed oil helps to people suffering from ulcers, heartburn and gastrointestinal reflux.